China is beating the United States at building the architecture of 5G. As both countries prepare for the next generation of super-fast wireless networks, China has built about 350,000 cell sites since 2015, while the United States has built fewer than 30,000, according to a study released Tuesday by Deloitte. The country's five-year economic plan, which runs through 2020, calls for spending $400 billion on 5G investment, it pointed out. "Consequently, China and other countries may be creating a 5G tsunami, making it near impossible to catch up," the report said. 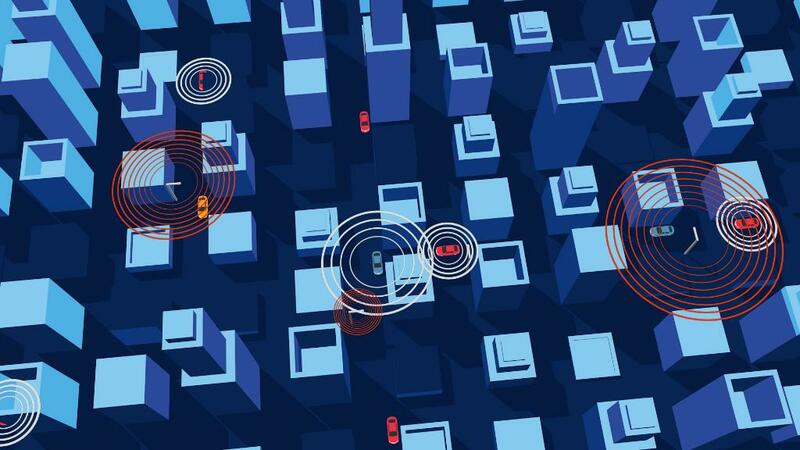 Wireless carriers around the world are sprinting to adopt 5G networks, which will ultimately be used to power self-driving cars, virtual reality and smart cities. The country that gets 5G networks up and running first will have a huge lead in hiring and investment, as well as a cache of valuable data from connecting all kinds of devices. "We're talking about billions of devices on the same network, not just millions," said Dan Littmann, a principal at Deloitte and an author of the study. The report noted that "first-adopter countries embracing 5G could sustain more than a decade of competitive advantage." A crucial element of 5G deployment is the installation of new wireless sites, many of which must be placed on lamp posts and utility poles in densely populated areas. China has dominated on that front, according to the report. During 2017, China Tower, the state-owned cell phone tower operator, added roughly 460 cell sites per day. Now, while the United States has less than five cell sites per 10,000 people, China has more than 14. "This disparity between the speed at which China and the United States can add network infrastructure and capacity bodes well for China's prospects in the race to 5G," the study said. Two other important factors in the 5G race are research and development spending and how quickly the government allocates additional radio frequencies to wireless companies. These radio frequencies are necessary because 5G needs greater bandwidth. On research, the United States is thought to be out front. Industry giants like Intel (INTC) and Qualcomm (QCOM) are working to develop top-notch 5G technologies. And it helps that the country won the race for 4G earlier this decade. But in April, a report from CTIA, a trade association for the US wireless industry, said the United States needs a clearer schedule for the allocation of radio frequencies, similar to what has been announced in China and South Korea. That report found that China was the country most prepared to deploy 5G networks. South Korea was second, and the United States was third. Japan was fourth. The US government has indicated it's aware of the threat from China. Earlier this year, President Donald Trump blocked Broadcom's $117 billion bid for Qualcomm after US officials raised concerns that it would give China an edge on 5G technology. US wireless providers like Verizon (VZ) and AT&T (T), CNN's parent company, have said they'll launch 5G technology in select markets by the end of 2018. Beijing plans to deploy 5G on a large commercial scale by 2020. China's top carriers have all pledged to meet this timeline.